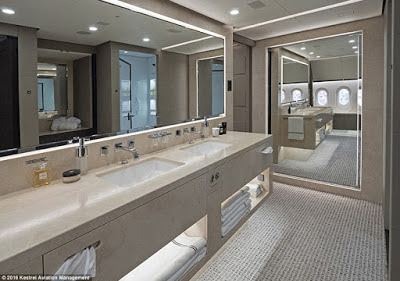 This is not a flying five-star hotel but a plane. 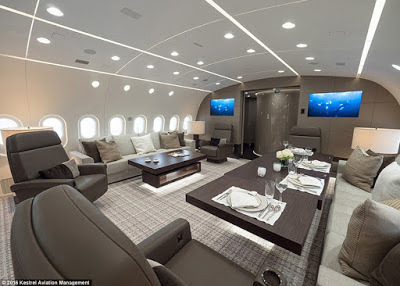 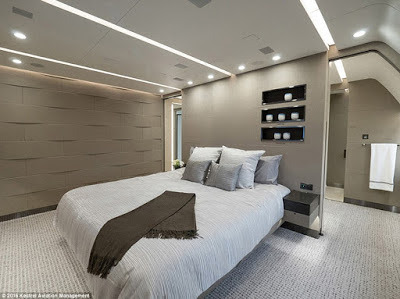 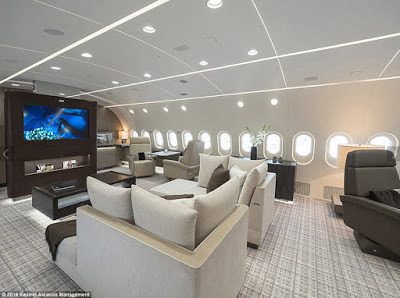 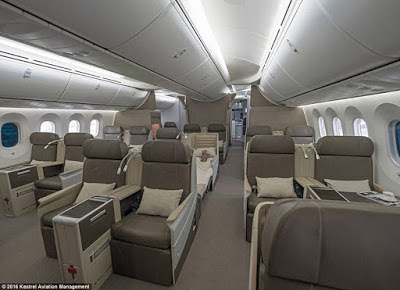 Here are photos showing inside the Dreamliner that's been converted into a private jet with bedrooms, walk-in wardrobes and a cinema. 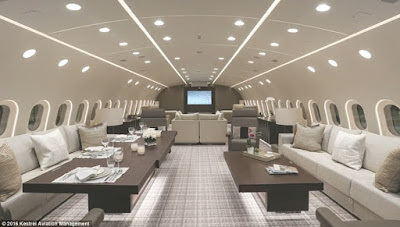 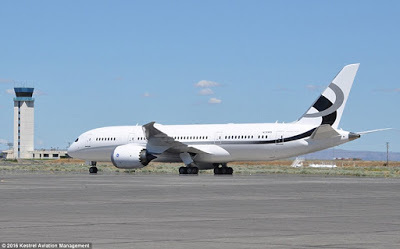 The Dream Jet is the first Dreamliner to be built specifically as a private jet for the corporate market.